Disclosure: This post is part of a sponsored collaboration with Muuna Cottage Cheese. As always, I only work with brands that I truly love and buy in the Shaw Kitchen! Thanks for supporting the brands that keep me running! Do you ever wonder how people make those fabulous, mouth watering omelets and flash them on Instagram before work? On a quest to make a picture perfect omelet of my own, I knew I had to create something that looked like it came straight out of a farmers market. 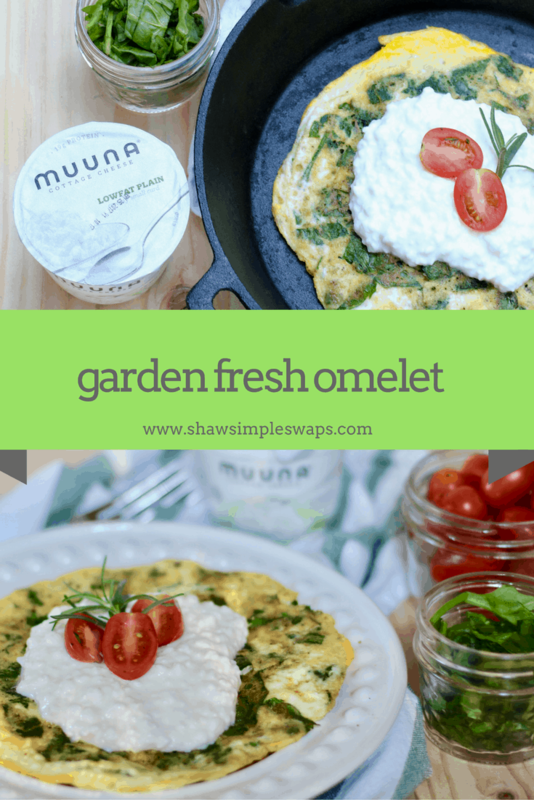 Enter, this Garden Fresh Omelet with Cottage Cheese! Well, first off, because cottage cheese is packed with protein (nearly 15 grams in just 1/2 cup) and counts as 1 serving of dairy! Plus, 1/2 cup serving of cottage cheese contains nearly 15% of your daily value of calcium, an essential nutrient that helps not only promote bone health but also may protect your body against cancer, heart disease and diabetes. As a Registered Dietitian Nutritionist, I’m always trying to find creative ways to sneak in hearty nutrition without feeling like you have to eat a salad or smoothie. 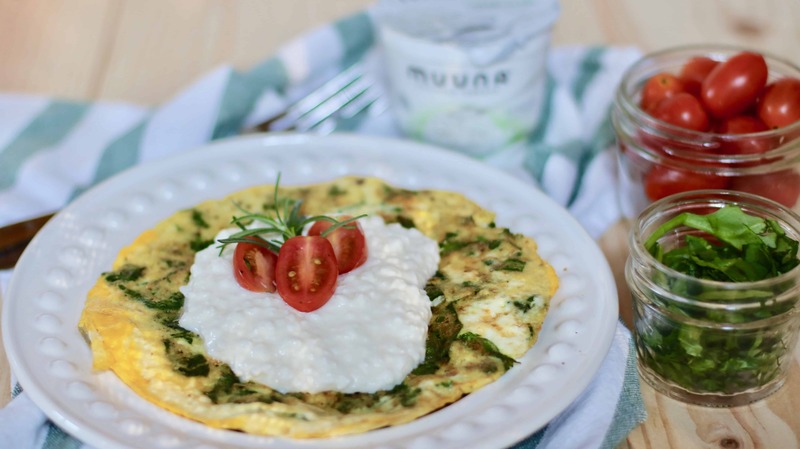 By finely dicing those veggies (basically whatever “garden fresh” veggies you have on hand), mixing them with eggs and topping the omelet with Muuna cottage cheese, you’re able to pull a stealth health move and start your day with not only protein, veggies and dairy, but also fiber! 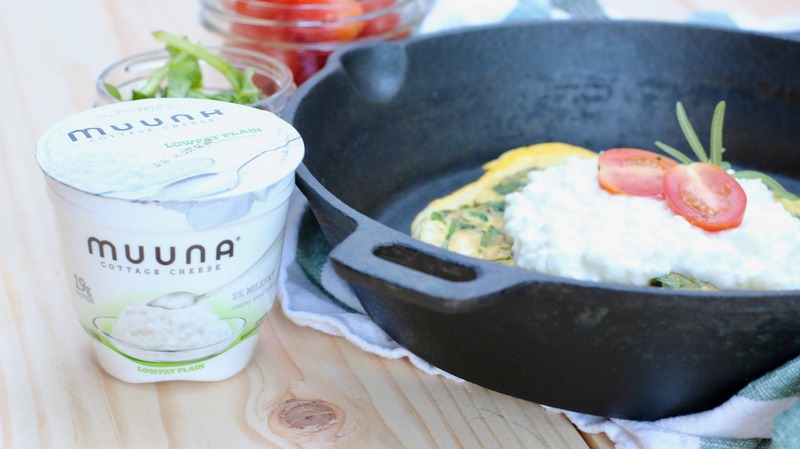 Now, if you are tight on time and there’s no way an omelet is happening in your morning routine, then don’t sweat it! 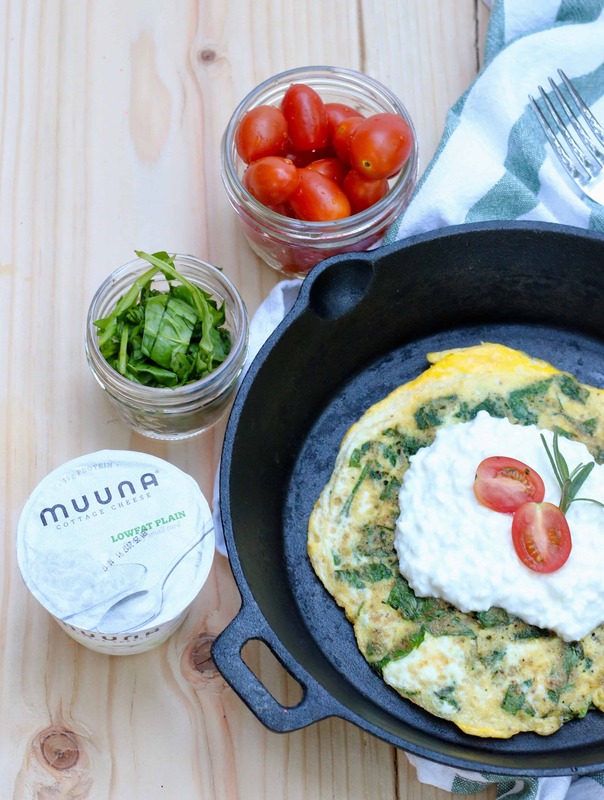 Muuna has a great line of natural, no artificial ingredient fruit flavor cottage cheese varieties that come in a portable container. I must say, Mr. CEO and I became instant fans of the Muuna Blueberry Cottage Cheese and fought over the last container. Looks like we’re going to need more! Check out their website to find where you can pick up this gem at a location nearest you. 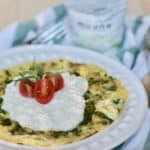 Garden Fresh Omelet with Cottage Cheese, a protein powerhouse for breakfast, lunch or dinner that's high on flavor, low on carbs. In a small bowl, whisk eggs with spinach, onion, pepper and salt. Spray a 6-inch nonstick pan with cooking spray and place over medium heat. Pour in the egg mixture and let set for 3 to 4 minutes. When sides are firm, quickly flip omelet using a large spatula to evenly cook both sides. Remove from heat and serve open face or folded with 1/2 cup cottage cheese and halved cherry tomatoes. Tell me, what are your favorite omelet ingredients? 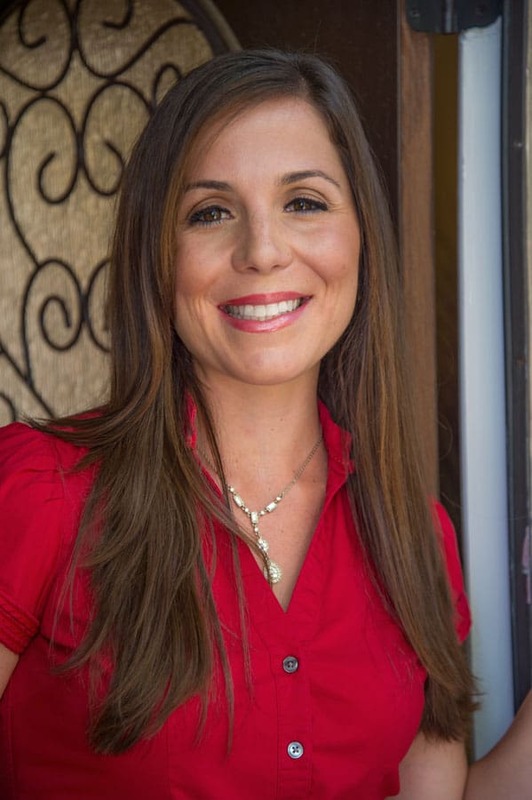 « Fertility Chat— Moving to BumpstoBaby.com!